Year : 1955 - 1963. Condition : Unmounted Mint to Mounted Mint. Catalogue No : 16 to 49. Selection of King George V Admirals to 1sh used. Withside tear on 3d (3rd row, last stamp) and on 1sh (bottom row, 3rd stamp), colour run on 1sh (last stamp) and adhesion on reverse on several values, others fairly good used. King George V Field Marshal part set to 2sh perforation 12 used. Also includes ½d, 1d and 8d perf 12 mint. With faults includingside tear, creasing and staining on 8d used, adhesion on reverse on 9d, light creasing on 2sh and small perf faults and tone spots on several values. 1937 SG 36/9 Attractive lightly mounted mint set of 4. 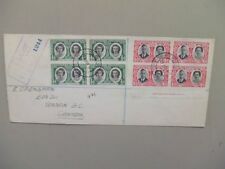 Queen Elizabeth II set of 15 used. Good to fine used. Reign : Queen Elizabeth II. Year : 1959. JUMP TO ITEM PHOTOS. Catalogue No : 18 to 31. 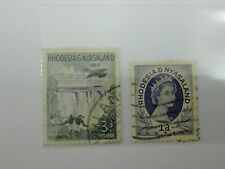 RHODESIA. 1910, 1/2d to 2 1/2d. PERF VARIATIONS. USED. 1910, 1/2d to 2 1/2d. PERF VARIATIONS. 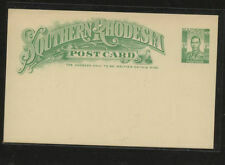 SOUTHERN RHODESIA. Album Page. REST OF WORLD (UPTO £40) £3.00. Cover is wrapped and mounted to page. UK ORDINARY (UPTO £40 TOTAL) £1.00. UK RECORDED (UPTO £100 TOTAL) £2.00. Unique Item ID: IA22765. 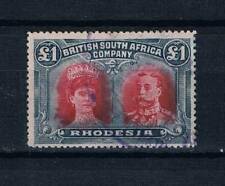 Rhodesia 1910,King George V and Queen Mary, 1d № SG 123, 124, 125, Shades FU / Used Perf 14x14. 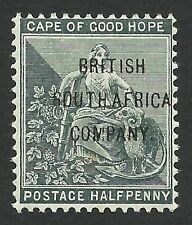 BRITISH SOUTH AFRICA COMPANY CARD OF 9; USED 1890-98;SOME PAPER ADHESION. 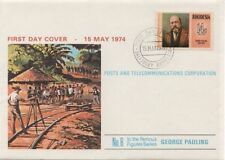 RHODESIA, QE11, 1966 , INDEPENDENCE ON ILLUSTRATED FDC, KYLE DAM, NOT PTC..
NOT ARRIVED. make Supersized seem small. Get images that. NORTHERN RHODESIA. REST OF WORLD (UPTO £40) £3.00. UK RECORDED (UPTO £100 TOTAL) £2.00. UK ORDINARY (UPTO £40 TOTAL) £1.00.